Published by the United Nations Universal Postal Union, Dec. 2012. UPU delegates adopted the Addressing Declaration, which reaffirms the international organization and its members’ commitment to developing and strengthening addressing infrastructure across the globe. Published by Wamda.com, Dec. 2012. 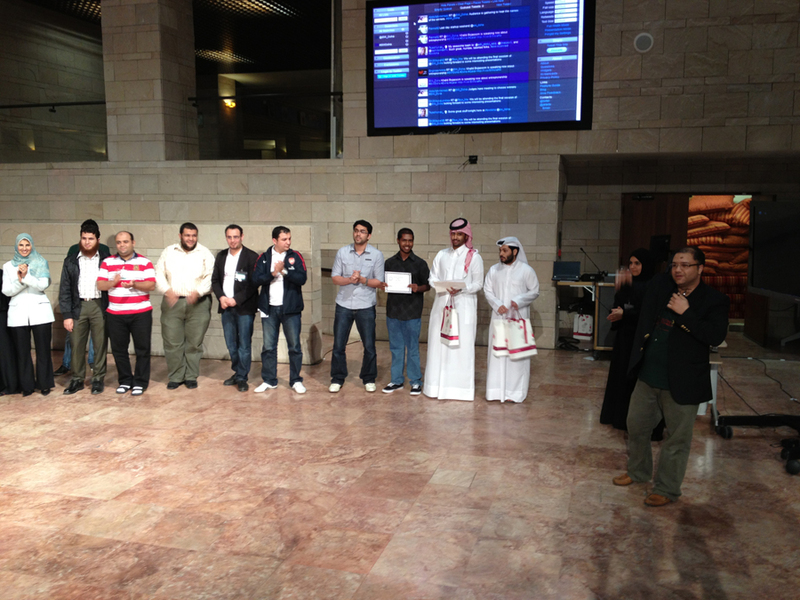 Budding entrepreneurs pitched their innovative business ideas at Startup Weekend Doha. Published in the UPU Union Postale magazine, Dec. 2012. 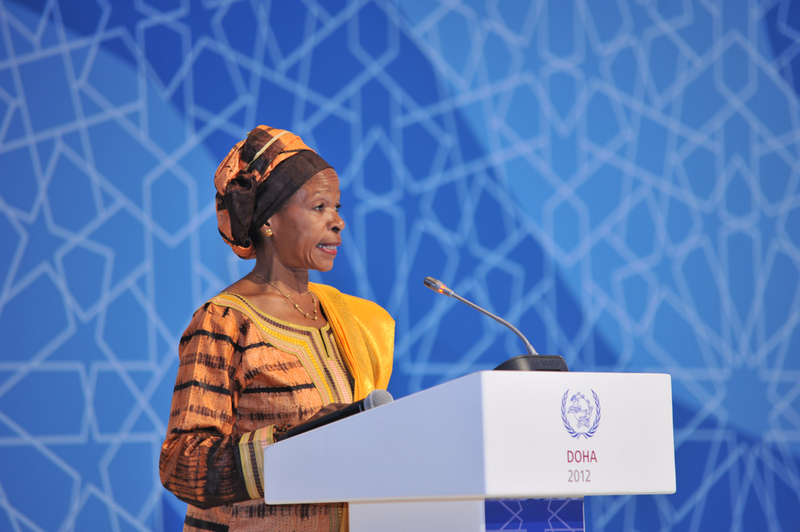 How addressing infrastructure contributes to social and economic development and can transform lives in developing countries was discussed at the 25th Universal Postal Congress in Doha, Qatar. Published by THINK. magazine, 2012. 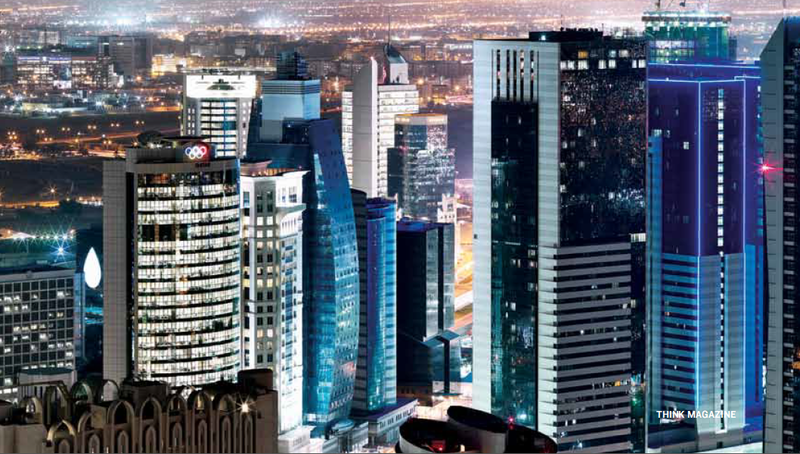 Qatar has gone from sleepy backwater to boasting the world’s highest GDP per capita in a single generation. Can the country retain its culture in the face of such rapid growth? And how much of that culture is itself a product of earlier phases of interaction and migration? This travel guide was commissioned by Forbes Travel Guide and published in August 2012. Published by ABODE magazine, June 2012. Journalist. Radio Presenter. Pilot’s Wife. Mother. Role Model. These are the many roles Victoria Scott fulfills on a daily basis in Doha, Qatar. She shares valuable lessons on how to reinvent yourself in a new country. 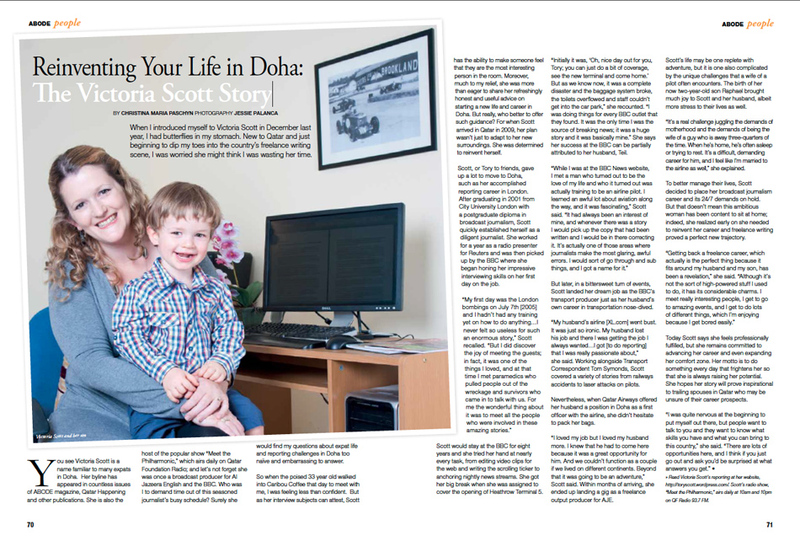 Published by Qatar Happening, March 2012. A new exhibit in Souq Waqif showcases the talents of two visiting Syrian artists. QH met with both painters to learn more about their work. 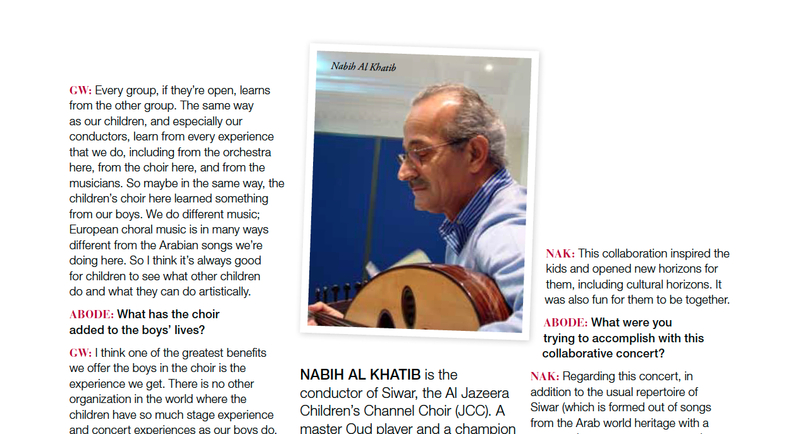 Published by Qatar Happening, April 2012. A new travelogue-style film shows you Qatar like you’ve never seen it before. QH sat down with the man behind the lens to review the film. Published by Time Out Doha, April 2012. Craving some peanuts and Cracker Jack? 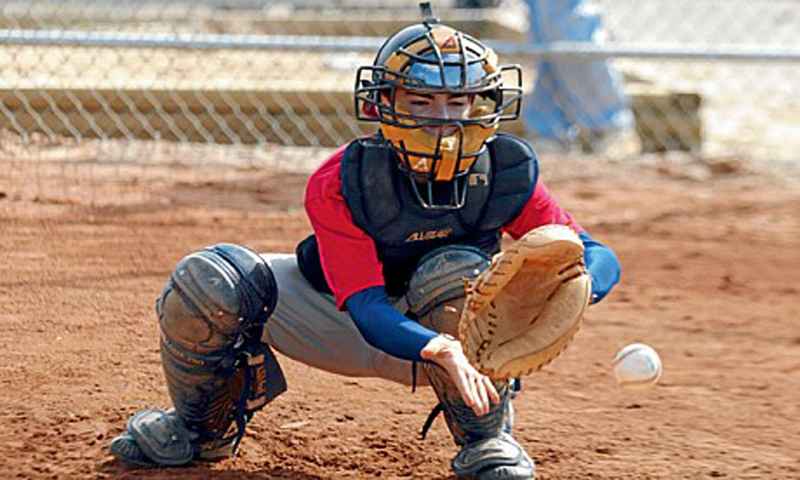 Head to Dubai this month for the Middle East Softball Championships and root, root, root for Doha’s home teams. Christina Maria Paschyn finds out more about this slice of Americana in the Gulf. ABODE interviews two great conductors to find out what drives their passion for music. Published March 2012.